From heavy duty carpeting cuts to precise paper cuts, choose OLFA cutting tools for the best performance in maximum cutting, safe grips and long lasting blades. When you buy an OLFA utility knife, you�re not just buying a professional grade grip and heavy duty fiberglass knife, there are many features that come as part of the design of our OLFA utilities knives that help to make your task or job easier. Enjoy anti slip grips, easy cleaning, simple blade changes, and stunning edge retention with an OLFA utility knife. 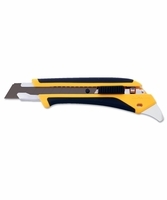 Get the maximum cutting performance you need to slice through leather, linoleum, and plastic, as well as other materials. 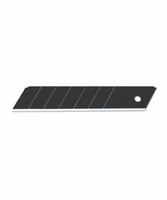 All of our OLFA cutting tools come with a satisfaction guarantee, so you know this is the blade for your job. Keep in mind that for situations where you need a superior edge to your sharpness, a heavy duty black OLFA blade will provide 25% more sharpness than a silver extra heavy duty blade. FastoolNow.com is your home for industrial strength equipment, tools and devices. 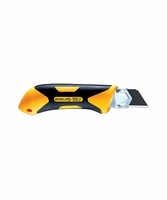 Shop our selection of OLFA utility knives, OLFA blades and cutting tools today.